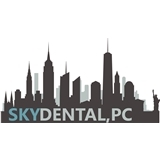 Sky Dental, PC (New York) - Book Appointment Online! I had yet to find a dentist since moving to NYC, and Dr. Erika didn’t disappoint. Very friendly, great office environment. Clean & professional! Got me in on short notice for a dental emergency. As someone who has had the same dentist for literally all her life before moving to NYC I was a little apprehensive but decided to give Dr. Rhieu’s office a chance. It was a great visit. No wait at all with the receptionist-she was quite kind and engaging (not necessary but always a nice perk). Dental hygienist was kind, quick and great at explaining what she was doing-plus she didn’t irritate my gag reflex which is a first for me. The dentist herself was friendly, listened to my concerns and what the next steps as far as treatments were. Highly recommend!